Time to have a little fun! We’ve made lots of good-looking brushes over the years, but would we describe any of them as fun? Probably not. 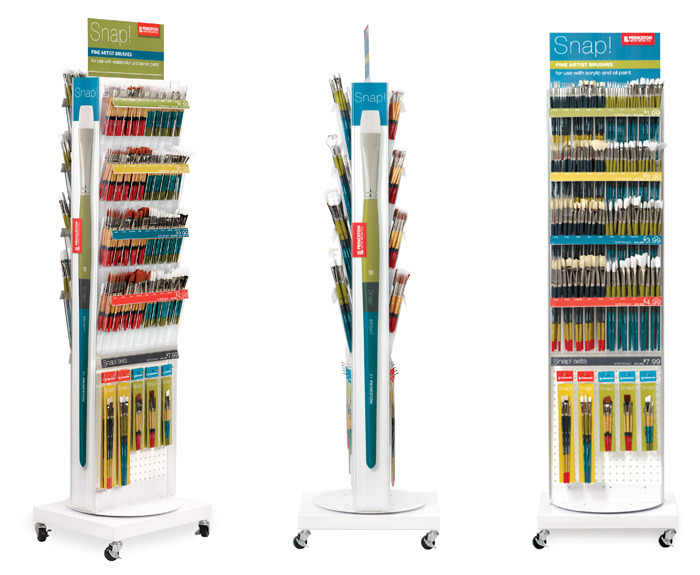 Enter Snap!™ A new brush series that’s determined to get you to like it. We think you’ll like the way they look. We know you’ll love the way they perform. Snap! Brushes are fun, but not frivolous. 80 individual brushes in a variety of styles shapes and sizes. Both white and golden synthetic are available on short handles for watercolorists, decorative painters, and acrylic artists. Not sure what to grab? 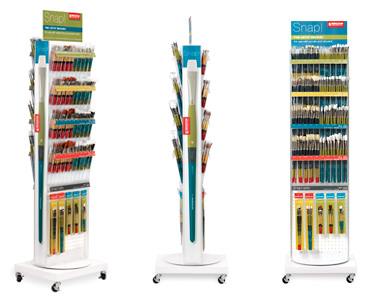 Go for one of the 5 sets near the bottom of the spinning display at the front of your local art store. 80 individual brushes in a variety of styles shapes and sizes. Both white and golden synthetic are available on short handles for watercolorists, decorative painters, and acrylic artists.